One lucky reader will get a chance to win the products posted above. 1. Enter your name & email address in the comments section below. 2. Like VITAPACK's Facebook page here. Contest starts now and ends on September 9, 2011. One winner will be chosen via Random.org. Sorry this is open to Philippine Residents only. Goodluck everyone! Thank you VITAPACK for sponsoring this giveaway. oooh! Khymmy! You still have the Vitapack pa for me? lol! I'm excited to try this if ever i win this give away. thanks! Thanks for the easy mechanics! ** Liked yours and Vitapack's Facebook page. Done liking you FB page and vita page too. 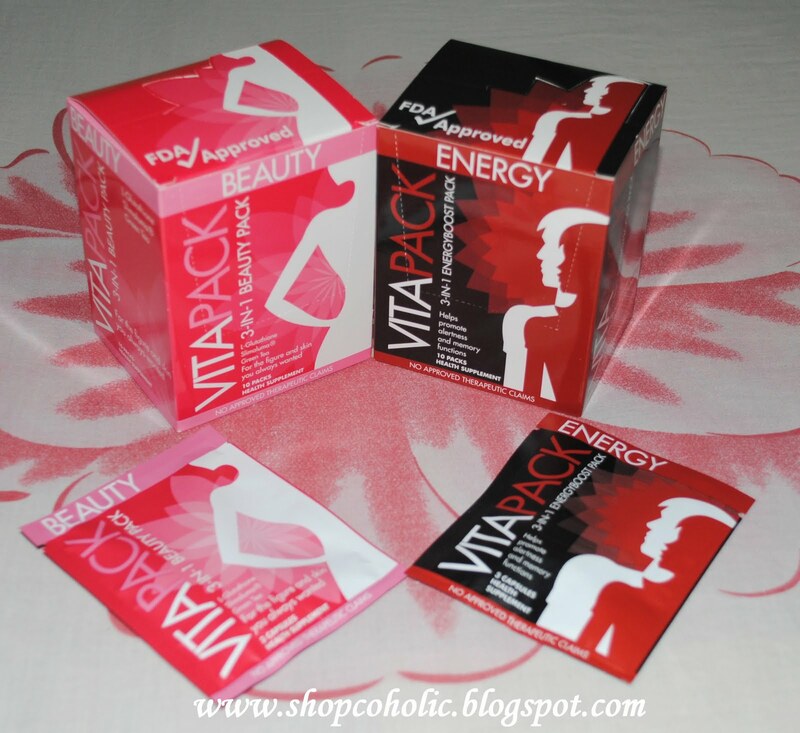 like ur page and vitapack..